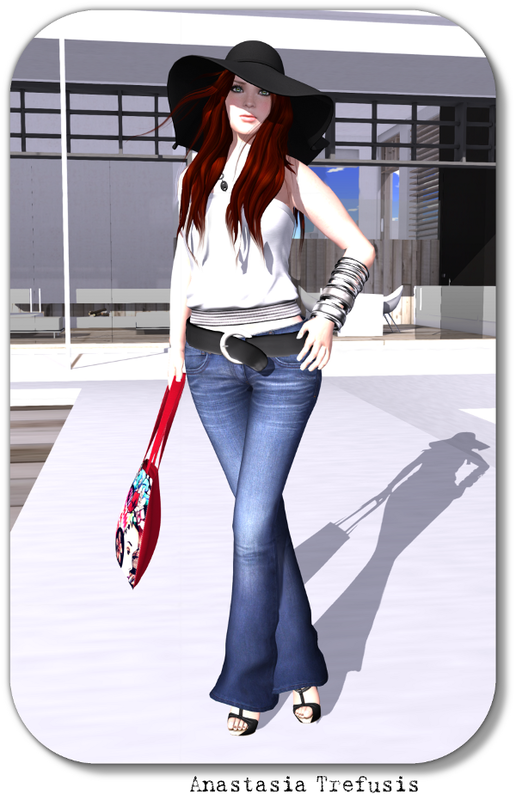 One of three recent skins from Gala Phoenix, Summer is another lovely face as we have come to expect from Curio. A fresh, young-looking face with a mid-brown brow, Summer has the amazing Curio body and all the options Gala is known for providing. The 6 makeups include some bright shadows and lipsticks, and each makeup comes with 2 lipticks and freckled / no frex skins. The five skin tones also each come in 2 shades, which means most people can find a shade that works with the look they want for their avatar. The Megapacks include all makeups and all tones and are an amazing value. Definitely the way to go if you want more than one makeup, as this way you get the option of wearing different tones. Again, you get 6 makeups with 2 lipsticks each, in 2 shades/tone, and all with or without freckles. 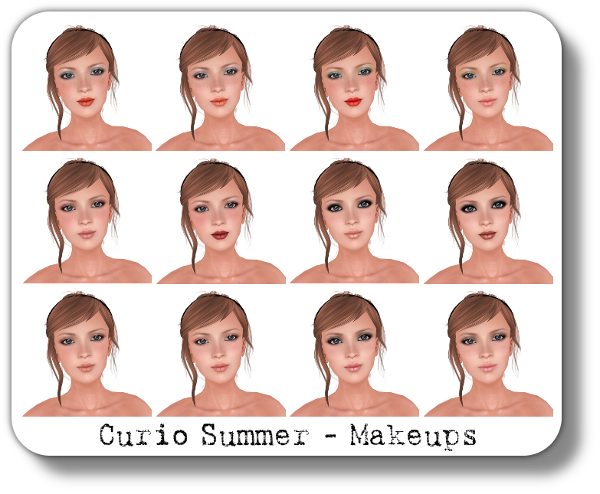 Try out a free demo of Summer at the Curio Mainstore. 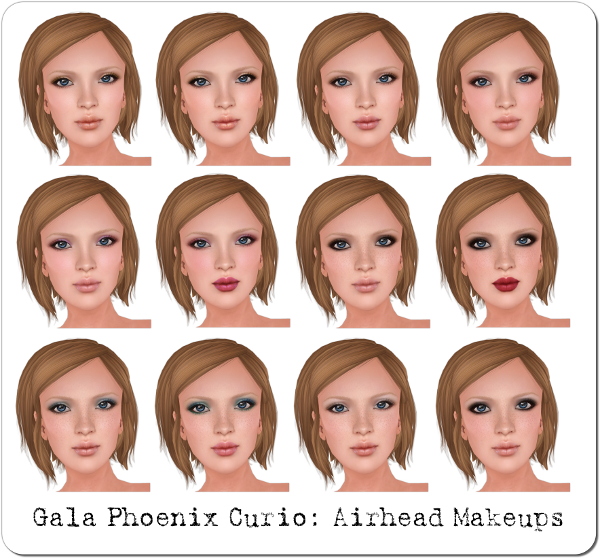 Gala Phoenix has recently added 3 new skins to her Curio skin line. Airhead, Summer, and Pout 2.
and natural lips, with nice lipsticks but not heavy gloss. There is a selection of makeups to choose from. Curio skins usually come in your choice of 6 makeups, but each makeup comes with 2 lip options, which I personally LOVE. You also get them with or without freckles, and each skin tone comes in 2 shades (see below). The top row shows the light shade of each tone, and the lower row shows the dark shade. Such a huge selection means that for each makeup you actually get 8 skins. Buy the megapack and you get 48 skins in each tone, an astonishing 240 skins! I really like the face on Airhead, it reminds me of Pout which is my favourite Curio skin (so far!) but still has it’s own look. 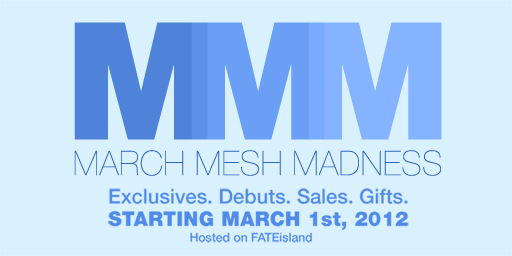 Try out a free demo at the Curio mainstore to see if Airhead suits you!